in the membership show at the Watercolor Society. It's so nice to see something different! Love this!!! Very memorable painting. 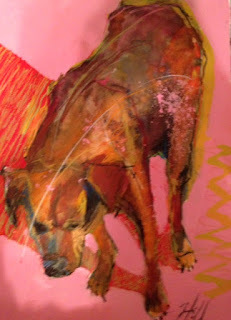 Great textures and colors within the dog.